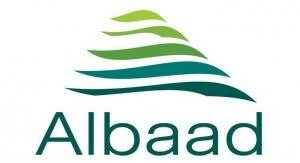 Albaad At Ease® Contoured Pad & Pant Systems Case 92600W by Albaad USA GROUP: Extended Care/Home Health:Incontinence :Pads & Liners Item Description: Liner, Ultra Absorbency with Polymer, 13�" x 28", Elastic Leg Gathers, Beige, 12/pk, 6 pk/Case (27 cs/plt) (9037) Packaging Desc: Undergarment Pad/Pant Contour13.25X28 Beige 12/Pack 6Pk/Case Country of Origin: Harmonized Tariff Code: Product Description: Designed for moderate to heavy incontinence. Ideal for bowel and bladder training programs. Discreet clothlike backsheet and comfortable side gathers for a secure fit. Overnight pad excellent for night "airing" use.